Lion Limited, one of Australasia’s largest food and beverage companies, last week officially opened The Heritage – its specialty cheese manufacturing hub in Burnie, Tasmania, and the largest specialty cheese facility in the Southern hemisphere. 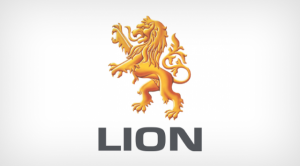 According to the press release by Lion, the company has injected $150 million into the site to transform it into one of the world’s most technologically advanced specialty cheese facilities. Lion CEO Stuart Irvine said the investment was focused on improving the site’s capacity, capability, environmental impact and safety. “Specialty cheese will be a key value driver for our business, as a growing category that is strategically important to our customers. Lion is proud to be the clear category leader, with a powerful portfolio of brands that Australians know and love – from South Cape, to Tasmanian Heritage, Mersey Valley and King Island,” Mr Irvine said. He said the investment underlined Lion’s commitment to Burnie and Tasmania in general. “We invest significantly in promoting Brand Tasmania through our premium dairy and beer businesses. Lion employs almost 600 Tasmanians, and we are proud to partner local dairy farmers, while playing an integral role in the state’s food and beverage, hospitality, tourism and agriculture sectors,” Mr Irvine added.